Yesterday was the one year anniversary of this blog! I can’t believe that I have been able to continuously write here for such a long period. This won’t be like my usual long blog, this is just one to simply to say thank you if you have followed this blog, liked or even just read one of my posts. It truly means a lot and I can’t wait to see the many journeys I’ll take while writing here for another year. I thought that this was the right time to write about something like this. Before, I begin whatever I may say that what I think the true meaning of Christmas means doesn’t mean that I’m right everyone will have a different opinion to me maybe because of religion or just even personal thoughts. Despite what I think Christmas means, I do not mean to imply that my interpretation is correct. Everyone has their own opinion and is entitled to one. Occasionally, around this time of year, you often hear people usually older generations saying that we do not know the true meaning of Christmas but we all have different ideas of what Christmas should be like. Technology is often used an excuse, I can guarantee that at least one person in each household would receive a gadget. Most children care more about the presents rather than anything else but as we grow up we realise what it was like to be a child during Christmas. It was amazing, the excitement of Santa, his reindeer etc. As you grow up, reality kicks in and you start to lose interest. This might not be necessarily true for everyone but for some it may. 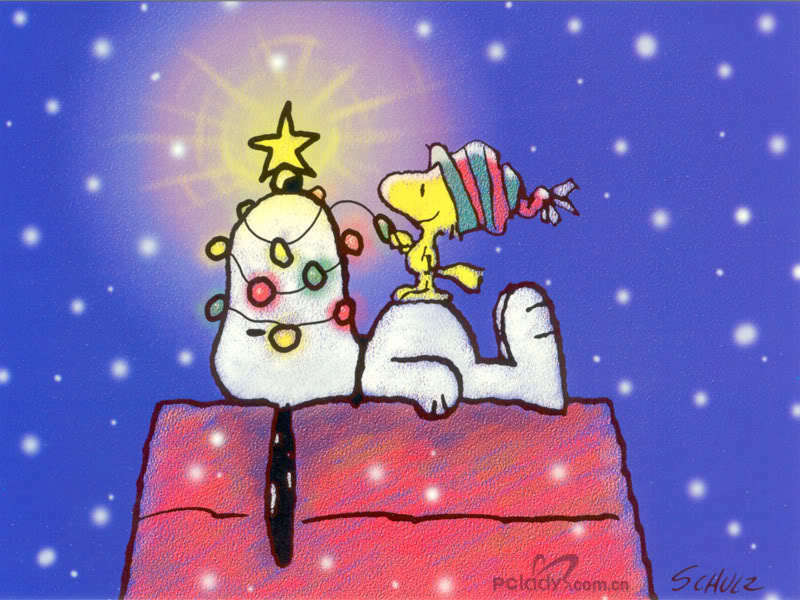 During Christmas, children grow up thinking about the presents, what they’ll get, whose present is better than whose. We can’t always blame the children though, society and media is evolving quickly. Material items are being portrayed to be more important rather than family, friends, memories etc. As a result of this, children do start to forget the true meaning of Christmas. It is a different story if you are religious, for Christians I know that the birth of Jesus is why we celebrate this holiday but for other religions e.g. Judaism I am not 100% sure of the meaning of Hanukkah (apologies if I have misspelled). When I was younger, I remember being taught that presents weren’t why Christmas was important but that Jesus, our loved ones etc were the reason. I guess as you grow up you start to realise the true meaning of all of this. No matter what you believe in, we all have an idea of what Christmas, Hanukkah, Eid etc should be like. As I have matured, I think Christmas means when you come to realise all the things you have and to be grateful and appreciate what you have rather than what you don’t. To cherish all your family and friends as others may not be able to do so. I hope you enjoyed this blog, thank you to all my readers and I hope you have a great time celebrating whatever festivity you celebrate and have a happy new year! Before I go, I am going on holiday from tomorrow, I may not be able to post until the week of January the 5th. If I’m not able to write, I will write a huge blog about my holiday! I apologise for not writing my blog last week, I had an unexpected shift at work but no need to dwell on that. Today I have chosen to write about peer pressure as this was previously brought up earlier in the week and I think this is a reason as to why teens choose to do what they do. 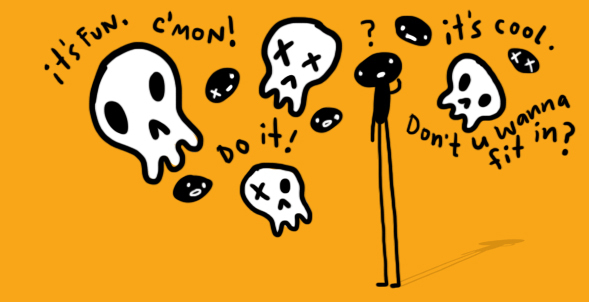 Most teens are peer pressured to do something or try something new, in some cases the person being pressured wants to try whatever they are being pressured into and sometimes use the pressure as an excuse. Friends can sometimes encourage you to do bad things like smoke, drink, commit crimes etc. If your friends do pressure you or make you feel uncomfortable then you should know when to tell them to stop and perhaps you shouldn’t talk to them anymore. If they push your boundaries and don’t know when to stop, then you should tell them and put them in their place. No one should ever make you feel awkward or uncomfortable in a situation especially a friend. You know where the line is and if it’s necessary, you should have to tell them. Occasionally, people will give into peer pressure because they want to fit in with everyone else. Some people think being different is bad and that we should all be the same but that makes life boring. Another reason why people may give in is because people are afraid to lose their friends. If they were your real friends, they would respect and understand when they have crossed the line. You shouldn’t be ashamed or embarrassed to say no. You don’t have to be in a situation where you feel awkward, everyone has limits whether they are stronger than others, no one’s self respect should be taken away. “Good friends will respect your individuality”. The media can sometimes also affect peer pressure. More and more things are becoming acceptable in magazines, on the TV etc, women and men’s bodies are being exposed more. I think because of this, teens think it is okay to push people to their limits and beyond. They don’t realise how people feel and think about the exposure and abuse towards teens because of the media, people don’t realise how much of an effect it has on this generation. Your friends can teach you a lot about yourself, they help you develop and learn more things about you that you may not have known without their help. Friends can help you, support and motivate you to succeed with anything in life. However, some friends can influence you to do bad things because of peer pressure. I hope today’s blog was an interesting read for you. 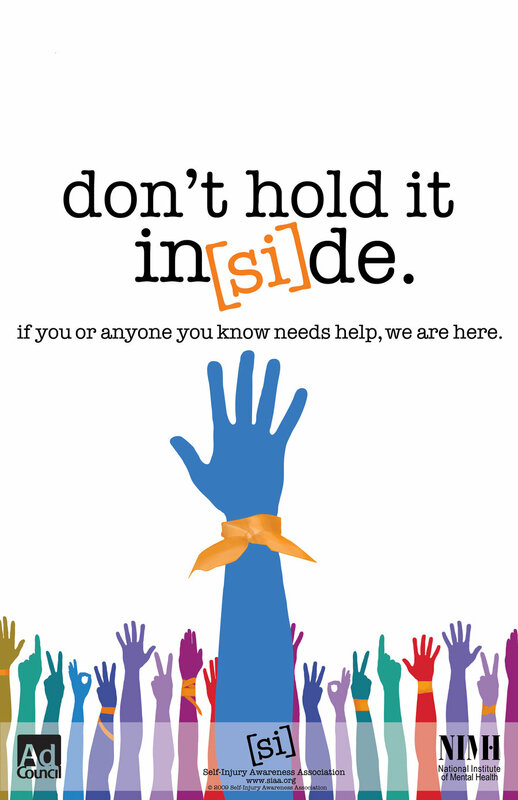 1 in 4 people self harm, most of them hold it in and don’t tell anyone. This is a very important topic that could lead to something even BIGGER (if you know what I mean) so to avoid that situation, here is some advice if you have or are experiencing self harm and if someone you know is harming themselves. Unexplained cuts or bruises on their wrists, arms, thighs and chest. Keeping themselves fully covered at all times, even in hot weather. Signs of depression such as a low mood, lack of motivation and interest in things. Changing their eating habits, unusual weight loss or gain. Signs of low self esteem, blaming themselves for things or thinking they’re not good enough. Signs they might be pulling out their hair. If you do find out your friends is self harming then don’t panic because they won’t be open to you, you have to be calm otherwise they won’t be and they might not feel ready to tell you. If your friend doesn’t tell you straight away don’t feel as if they don’t trust you, it may just be that they don’t want to talk about it at that very moment. In case, they don’t want to tell maybe suggest an adult they trust, close family member or perhaps a doctor, you have to be very delicate with them because they could be very fragile at this time in their life so you must be very reassuring and be calm with them. Once they tell you, reassure them that you will be there for them, support and care for them. This will make them feel a lot more safe inside and little more secure with you. Make sure that they feel comfortable discussing their problem with adults or someone who could help them, ensure the person understands the circumstances and they will help your friend recovering and inform you how to keep them happy and not go back. Keep helping them and they will be on their way to happiness and freedom. If you are harming yourself, put the blade down because you’re not doing yourself ANY favours, talk to someone because they will want to help you. If you’re doing because you have lost someone close to you, imagine would that person want you doing this to yourself? If it’s because you’re being bullied, check out my bullying blog and it might help: https://natalayacooke.wordpress.com/2014/02/15/bullying/. You may think I don’t understand what situation you’re in but just listen to this, stay strong and put that blade down next time you reach for it, get a highlighter or pen then draw a line wherever you would use it and at the end of the day look at those stripes and be proud of yourself because that’s the amount of times you DIDN’T self harm, if you keep doing this I guarantee it will help you. Some of the reasons that people self harm is because of something very traumatising that was happening or happened in their life e.g. losing a family member. Another cause of self harm is bullying, this also leads to other situations e.g. suicide, so in order to prevent self harm please look out for the signs of it because it is gradually affecting more and more people around the world and it’s not going to get any better, if no one helps. 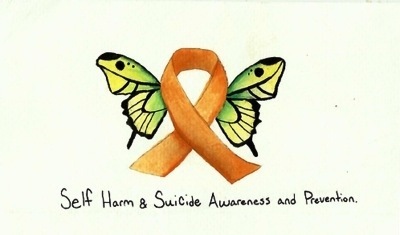 Self Injury Awareness Day is on Saturday the 1st of March, some people wear orange awareness ribbons, they write “love” on their arms, draw a butterfly on their wrists in awareness of “the Butterfly Project” wristband or beaded bracelet to encourage awareness of self-harm. Please get involved and make self injury more aware around the people near you because you never know whose life you might save.